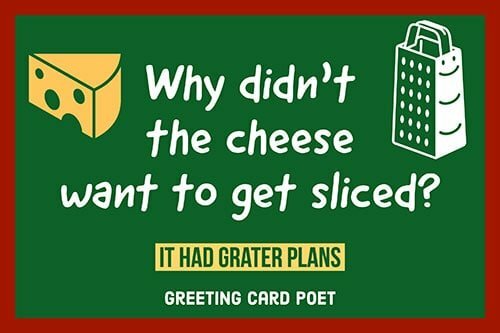 These food puns are well-crafted, eye and mouth watering masterpieces. You see, they join together two favorite things – food and humor. Some would say it’s like having your cake and eating it too. As eating lovers, we’re obviously partial to food jokes of the food variety, so if you’re a true foodie with a sense of humor, you won’t be able to resist. Some, you may know, and some you may not. Let’s just say if you donut understand these puns, there’s no whey forward! Equip yourself with these family-friendly and admittedly silly jokes, so that you can bring some humor to your next gathering. We hope this collection serves you well, and fills your loved ones with tons of laughter. What type of person doesn?t love pizza? When can a pizza marry a hot dog? What do dinosaurs put on their pizza? What is a jalapeno’s favorite pizza? 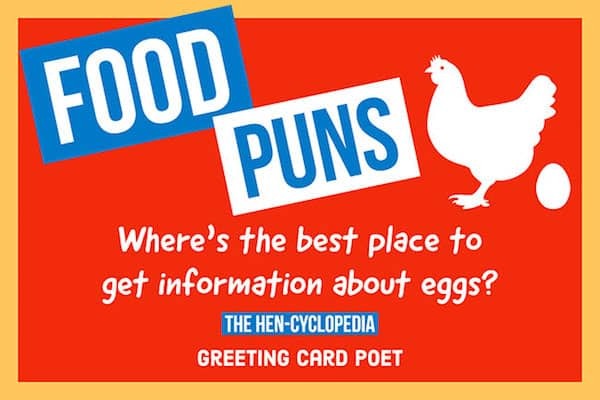 Where’s the best place to get information about eggs? Because it wanted to lay it on the line. What does a meditating egg say? What do you call a cheese with curly hair? What’s the most religious type of cheese? What do you call a lazy crayfish? Because it saw the ocean’s bottom. Did you hear about the goldfish who went bankrupt? 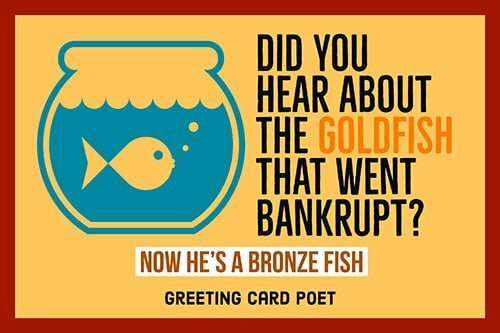 Now he’s a bronze fish. What happens when you put nutella on salmon? 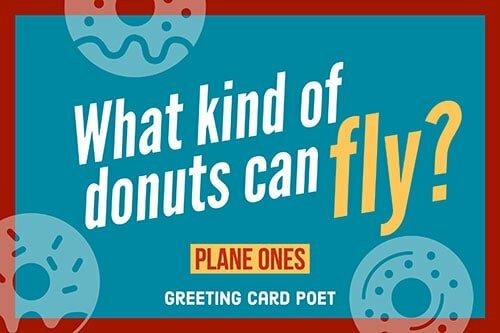 What kind of donuts can fly? What do you call a Jamaican donut? What do do-nuts wear to weddings? What is the only thing that can cure a sick do-nut? How did the strawberry do-nut feel after eating dinner? 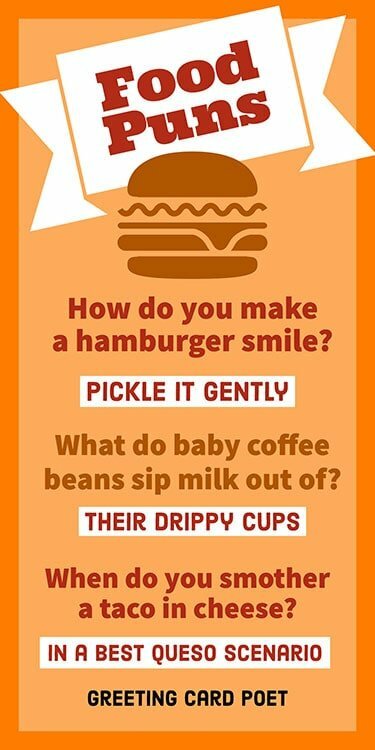 How do you insult a hamburger patty? Why can’t the bankrupt cowboy complain? How does a burger acquire good taste? Where do coffee beans go to drink? Why did the coffee pit need a break? To blow off some steam. Why do coffee beans like to camp? Because they like roasting by the fire. What do baby coffee beans sip milk out of? What kind of music do coffee beans like? What is a coffee’s favorites newspaper to read? Why doesn’t bread like warm weather? What does bread do after it’s done baking? What did the loaf of bread say to the police officer? What did the yeast say to the bag of flour? Come on we Knead to be serious! Why can’t you taco to keep a secret? Have you heard the joke about the tortilla? What do you call a tortilla chip that works out? When do they smother a taco in cheese? What is Thor’s favorite food? What do you get if you eat onions on your taco? What’s an electrician’s favourite ice cream flavour? You’re on our Food Puns page.